After Islamabad and Lahore, Excise department of Faisalabad has also started issuing a smart card in place of conventional registration books. If you are driving your vehicle on open transfer letter, beware! As the Punjab Excise and Taxation Department has posted a deadline. The Excise and Taxation Department of Punjab government has once again decided to change, and introduce universal number plates. As non-filers are forbidden to car registrations an automobile, 23% reduction in number is witnessed by Punjab Excise and Taxation department. Apply a vehicle duplicate number plate from Punjab Excise and Taxation department with the help of this guide. 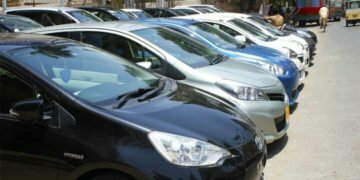 A sigh of relief for the Uber and Careem drivers as the Excise department has decided to declare their cars as semi-commercial vehicles.